Do you ever feel overwhelmed? Do you feel like you have so many things to do that you'll never be “done”? 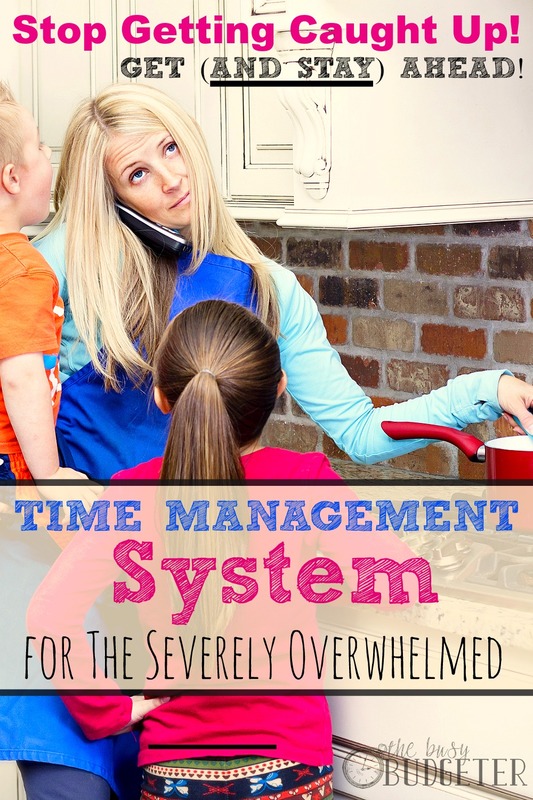 Do you feel hopeless when it comes to time management? Are you sick of trying to do something only to be distracted by the million other things screaming for your attention? I know exactly how that feels. I lived like that for many years. I couldn't understand how I was always in motion, always trying to get ahead and never actually ahead. It was so frustrating. Our lives are truly overwhelming. The laundry will never end; the dishes will never end; the cooking will never end; the budgeting will never end. You will always have closets to clean out, moments to document, budgets to update. When you combine these things with your work schedule, your work projects and deadlines, and your social life (if you're lucky enough to still have one), it's not hard to understand why we always feel so behind. If you're a single parent or spouse of a deployed military member… well, that just doubles your work at a minimum. Today, I'm in a much different place then I was. I make headway on my long term goals every week, and I manage my to do list effectively. There's quite a few tips and tricks that's I've learned over the years and implemented. The trick that has had the absolute largest impact on my quality of life though is something I call “time blocks”. Time blocks are when you schedule a short amount of time to get things done. By scheduling a short amount of time to do something, you trick yourself into doing it. It allows you to focus on your work and minimize distractions, while you power through and concentrate on the task at hand. I use time blocks with one infant and two toddlers running around all day. It's perfect for overwhelmed moms. Managing your time better means that you have more time to do the things that you want to do. You learn to focus on the task and hand and won't allow yourself to be distracted because you realize that you have a small block to complete tasks in. You can easily motivate yourself to do undesirable tasks by having a set end time. I hate doing laundry, but I'm only doing it for 15 minutes. Then I'm walking away, no matter what. You learn to work quickly to get the tasks done in the set time. You prioritize within a task. If you have 15 minutes to clean your bedroom and your bedroom is a disaster, you will end up bagging trash and removing dirty clothes, and making the bed rather than dusting the light fixtures because you have realistic expectations about what you can do in that time. Your day will be mapped out, but still have a ton of flexibility; which is especially perfect if you have kid's schedules to work around (or a needy boss). 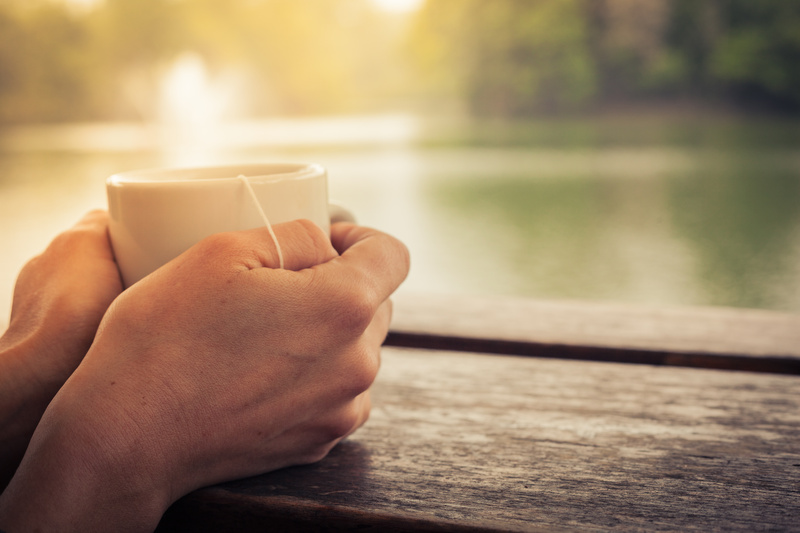 You'll have more time to relax and enjoy your family. Because really, isn't that what it's all about? Determine the hours you have available to get stuff done. I work at home now and schedule 7 hours per day for “work” and chores. When I worked outside the house (in a super demanding job), I scheduled 2 hours per day and 3 hours per day off (my work at the time was reactionary and didn't require time blocks). Create a list of the repetitive work that needs to be done. 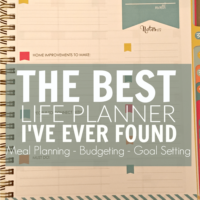 Things like dishes, laundry, cooking, meal planning and budgeting. These examples are for your home, but you can create a time block schedule for your work too. Start assigning time blocks to the most important tasks on that list. Include at least one block (preferably more) per week as a “Master List”. Fit tasks into 15 minute (physical work) or 30 minute (detailed or concentration work-things like budgeting or writing) blocks. Create a master list of longer term goals that you want to work towards completing. For the home, this would be things like: clean out a closet, reorganize spice rack, set up a long term budget outlook, landscape the back yard, create a capsule wardrobe, etc. As you start your day, glance at your time block schedule and choose the thing that you're the least excited about doing. Get it done and cross it off. (This is called Eat that Frog based on a super motivating book). As you move through your day, grab things from your list and work through them. When the timer goes off (always set a timer! If you don't have one on your phone, grab a cheap one from amazon here), stop that task and take a break or move on to the next. Try to get the tasks done as early as possible, so that you can enjoy your day. When the tasks are completed, stop. If you consistently find that you have too much extra time, add in extra time blocks for next week. What distracts you the most when you try to get things done? I basically do this exact same thing when I am at home. It definitely helps me stay on track and not veer away to “shiny objects” that catch my eyes (or those of my children). I’ve always called it scheduling my day. At work, what really helps me is a deadline-drive to-do list. I can see what meetings I have to prepare for and what deliverables I must do by week, so if I am feeling a little aimless or tempted to stand at the proverbial water cooler, I just reference that list and start working on the next item. It’s so amazing to me the results that come from organizing your time effectively. Go Kirsten! I do this! (and about a hundred other things too–busy, busy, busy lol). It really does help get things done. Brittany @ Equipping Godly Women recently posted…Was Jesus Really God? Hey! This sounds super helpful, and I’m definitely going to start moving in this direction. 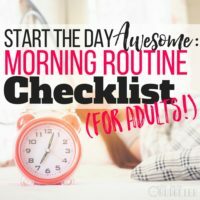 I’m not a mom, but I am a teacher, and when I’m not in the classroom, I have a number of tasks from emailing to planning lessons, to writing reports etc, and it’s hard for me to organize myself and keep myself on task! I can empathize with my students, lol. I was wondering if you would be able to share what this looks like for you on paper. Do you write out your blocks at the start of each day? Or do you do a weekly overview? It would be awesome if you could post an example. Thanks so much! I feel like this method is going to be so beneficial for me. great ideas, I love tricking myself into a hated job by saying I will only need to do it for 15 minutes. For the kids, I call it a 7-min swoop and we can clean up a whole room really fast! Aw! I love the 7 minute swoop idea! And great job teaching the kids! LOVE this post! I especially love how you talk about getting the tasks done as soon as possible. I am such a procrastinator and so I need this reminder a lot. My thought is always – ‘Oh, I have some time later today to do that.’ and then truly regret that later in the day. If I “eat that frog” and do the thing that I don’t want to do first, my whole day is productive. It’s such a great trick and makes such a difference in my life! I do something very similar. I saw it somewhere on the internet and they call it commercial breaks. Anytime a commercial comes on the TV you get up and do your job. I am not really a TV watcher, but I have it on for background noise. You would be surprised at how much you get done during one TV show.In one hour show you will have about 20 minutes of commercials. This sounds amazing and I can’t wait to start it! I am very easily overwhelmed and have trouble figuring out where to start. This will help me a lot! I also have a 2 year old and a 3 month old so finding time is difficult, but I think I can find 15 minutes at a time! 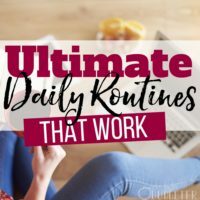 I came across this post on Pinterest, and tried “Block scheduling” today – I was amazed at how much more focused I stayed with a written list with clear times written down for each of my tasks. I’m bad about making a mountain out of a mole hill so to speak when it comes to cleaning – I often wind up cleaning out closets when I merely set out to clean and tidy a room… This helped tremendously – I’ll be incorporating it into my days. Thank you for such a helpful post. Wow above above article very useful everyone read this article. Great tips. 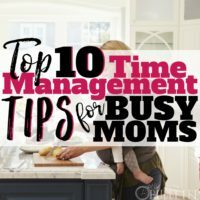 I have been looking for a way to get more done in my day and still have plenty of time to play with my two little people. I’m going to give this idea a try this week and see how it goes. Hey.. Found this on Pinterest.. I am going to try this out and leave some feedback.. but I definitely see the Benefits of this already…!